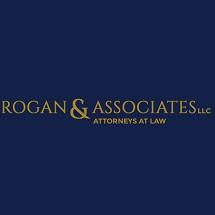 Whichever side of the Hudson River you are on, the law firm of Rogan & Associates LLC can provide you with quality representation in the areas of personal injury and business and commercial law. Clients in New Jersey look to us for compensation for injuries incurred in accidents involving cars, commercial vehicles and pedestrians, slip-and-fall events, construction injuries and third-party injuries in the workplace. Our workers' compensation practice is known throughout New Jersey, seeking maximum compensation for injured workers and looking for greater compensation through third-party liability suits. We pursue claims for injuries caused by defective equipment, collapsing scaffolding and many other incidents. We handle cases involving the most catastrophic injuries occurring in the workplace, including burns, amputations and spinal and brain injuries. Our law firm also represents employers mistreated in the workplace, including claims of sexual harassment, wrongful discharge and creation of a hostile work environment, including retaliation against whistleblowers. We also assist individuals and families with the drafting of wills and with probate and estate administration. Our team of business lawyers, led by firm principal Edward T. Rogan, provides effective and affordable business litigation, including breach of contract, collections, municipal law issues, commercial tax appeals, insurance coverage issues and disputes arising within partnerships. Important elements of our practice are the resolution of commercial lease disputes and compliance with condominium law. In personal injury law we are known as knowledgeable, aggressive advocates. In our business law practice, our attorneys are viewed as skilled legal strategists, adept in the courtroom, at the negotiation table and when using alternative dispute resolution methods. With offices in Hackensack and Manhattan, we serve workers' compensation and other clients throughout New Jersey and the New York metro, in particular Hudson County, Passaic County, Morris County, Essex County and Bergen County.